The Fire and Ice facial from iS clinical is not all that new--it has been around for a few years--but it is still one of the top choices for celebrities like Halle Berry, Gwyneth Paltrow and Evangeline Lilly that want to get their faces red carpet ready. 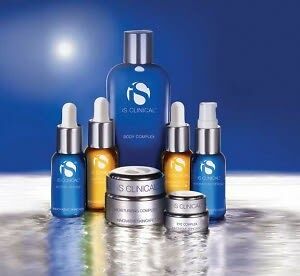 The facial is formulated by iS Clinical, which is known for their effective [but expensive!] anti- and reverse-aging serums. What makes the Fire and Ice facial different than other facials is that it has the effects of a subtle chemical peel (so don't expect to look like Samantha at Carrie's book party). After a quick facial cleanse, the "Fire" part is applied. This is a mild peel using 18% glycolic acid and retinol, which removes the very top layer of the epidermis. This has a harsh burn to it so it only stays on for three-to-five minutes. After this layer is washed off, the "Ice" layer is applied, a rejuvenating masque that smells minty fresh. This has skin-plumping hyaluronic acid, herbal antioxidants and soothing aloe vera. I tried the procedure out at Vitalia Medspa in McLean, 7506 Leesburg Pike. My face was pink for about an hour but noticeably tight and radiant. For a list of other places that do the facial, find a dealer HERE.